Directors Tom Cimino and Luke Valenzano founded FSNG Pty Limited (Finance Solutions Network Group) in 2003. Alex Hughes joined the team in 2016, together they hold in excess of forty years’ experience in Banking and Finance. They have held Management and Senior Management positions with several major Australian Banks. Tom Cimino also held a Management position with Monte Paschi Di Sienna (Italian Merchant Bank, in Sydney). F.S.N.G. Pty Limited is a holder of an Australian Credit Licence issued by Australian Securities & Investment Commission (ASIC) pursuant to the National Consumer Credit Protection Act 2009. The licence number is: 378475. F.S.N.G. Pty Limited holds various Commercial and Residential Accreditations with a number of major Australian Banks and other Lenders. Both Tom and Luke have extensive experience in the banking industry and can tailor a finance package to satisfy your specific needs. They hold a wealth of knowledge and experience managing small, medium and large Businesses and we welcome the opportunity to become your Business intermediary and allow us to negotiate your finance. We understand the daily pressures that small business owner's face in running their business, we can look after one of those pressures by looking after your financial needs for your Business, or personal. 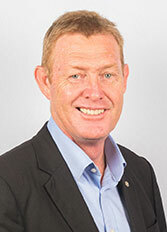 With over 35 years of experience in the banking and finance industry having held Senior Commercial Lending and Management Roles with Australia and New Zealand Banking Group Ltd and Bendigo and Adelaide Bank Ltd, Alex is well versed in all aspects of retail and commercial lending. Alex says “The world of finance can be and is at times challenging, I have assisted many clients in the past navigate their way to successfully achieving their desired financial goals. In doing so I bring empathy, understanding and a willingness to delivery on my stated objective of taking the worry out of financing process.